Latin American food experts Casa Sabor are back with a 3 day pop-up in mid May, at the wonderful Ozone Coffee Roasters building in Leonard Street, EC2. This time it's focussing on Brazil's regional capital Salvador Da Bahia with a five course dinner including some modern takes on Brazilian classics. Plus live music! It runs from Thurs 8th - Sat 10th - all the booking links you need are below. "Casa Sabor’s next pop-up, in a new venue around Old Street, will celebrate the food of Brazil and the regional capital Salvador Da Bahia. A five course menu will cover some of the classics, but also some dishes that would be classed as Modern Brazilian Cuisine, featuring traditional local ingredients cooked in a less traditional manner to emphasise respect for the ingredients, flavoursome contrasts, and healthy balance in what we eat. We’ll be using all the techniques of the modern kitchen, and to some extent ‘deconstructing’ traditional dishes, to highlight the flavours of fresh fish and seafood, as well as high quality meats, fruit and vegetables. The evening will be a feast for the ears too! 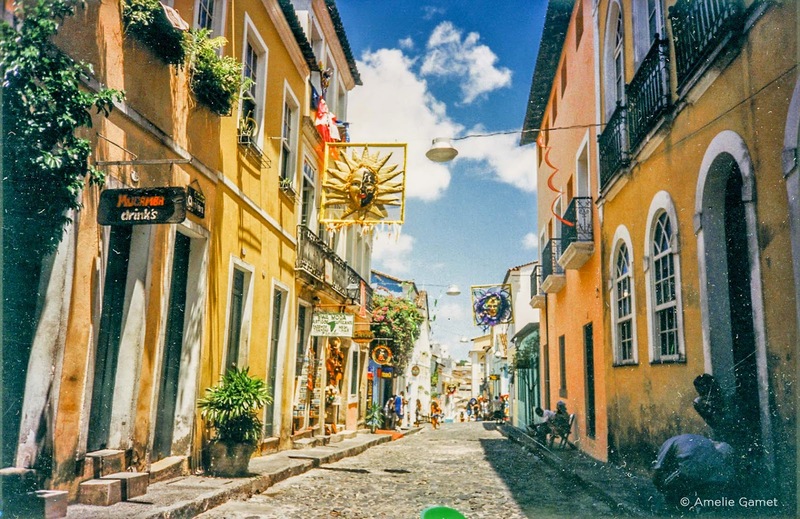 Bahia is central to Brazil’s music scene. Many of the giants hail from this northeastern state — Caetano Veloso, Tom Zé, Gal Costa, Maria Bethania, Carlinhos Brown, and João Gilberto, the founder of bossa nova. Not forgetting, of course, Olodum, the Afro-Brazilian group featured on Paul Simon’s Rhythm of the Saints. We are delighted that Ozone Coffee Roasters cafe will be the venue for our next pop-up. The owners are part of the new generation of very serious coffee aficionados and they are lighting up London with really great coffee. This is fantastic for me as a ‘native’ of the coffee region of Colombia – even though I’ve been living in London for more than twenty years now, I keep my close ties by running our family coffee farm by ‘remote control’ from the heart of Islington! Whilst we can’t (yet) serve you coffee sourced from my own family’s farm, we’re confident that you won’t be disappointed by what Ozone have to offer after dinner."